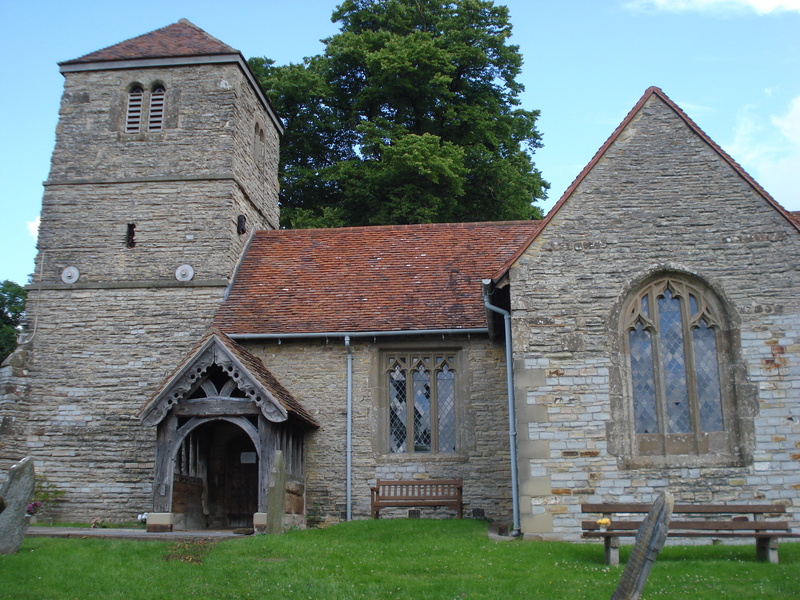 The majority of the Oddingley Church building was constructed in the 15th century, with the tower added during the 17th century. 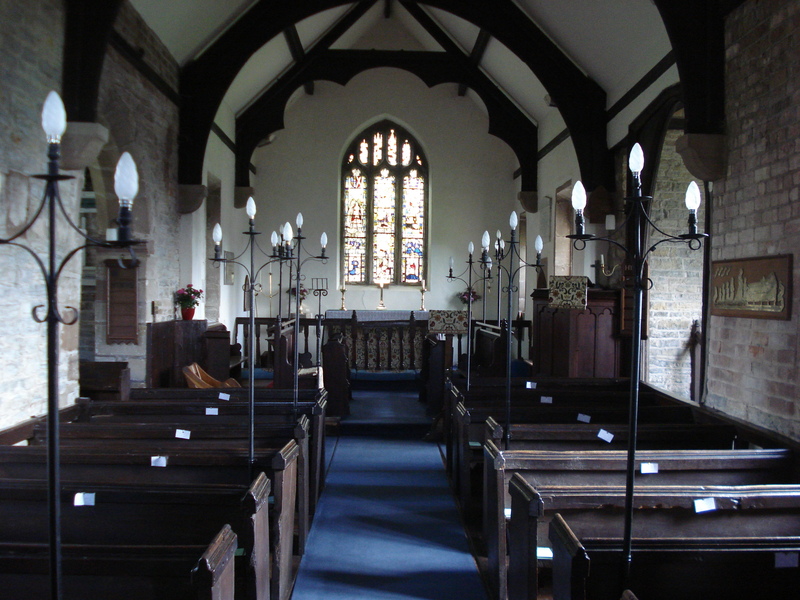 The church fell into a poor state of repair during the 1700s, and was extensively restored in 1861. The original fifteenth-century windows are still present, albeit reset, in the north and south walls and chancels. 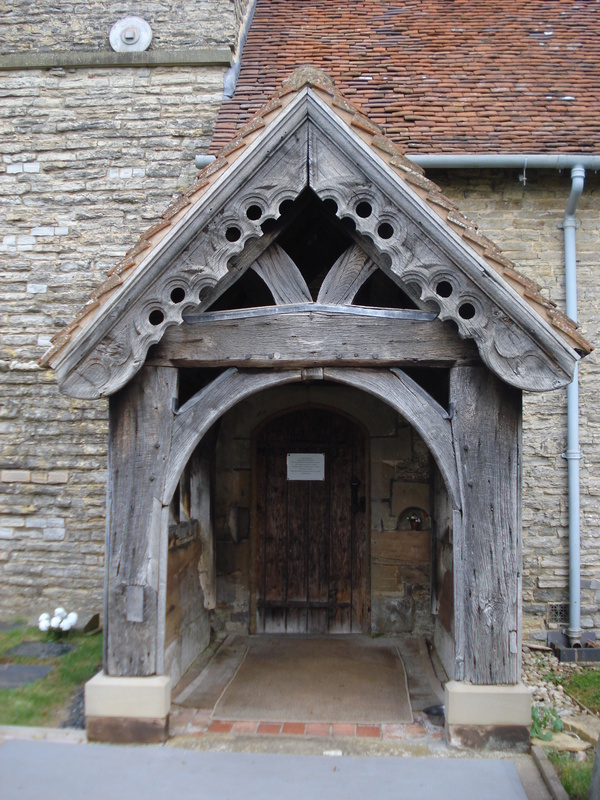 Oddingley Church is entered from the south through a beautiful nineteenth-century porch, through a door that leads into the western end of the nave. There were originally two doorways facing one another, but the northern one was at some stage filled in, presumably when the tower was built. On the right as the church is entered is the font, the stone of which appears to have originated in the original church but has since been recut. On the left is the organ, reclaimed from Hadzor church when it was closed. The main part of the nave is filled with several pews, the wood for many of which was reclaimed from the seventeenth century pews that they replaced. Either side of the central isle stand iron electric light fixtures, but beside the front-most pew on the left there stands a much older iron post on which would have originally been placed an hour-glass with which to time sermons. At the eastern end of the nave, there are two chancels: the north chancel to one’s left and the south chancel to one’s right when facing east, in which direction lies the east transept. 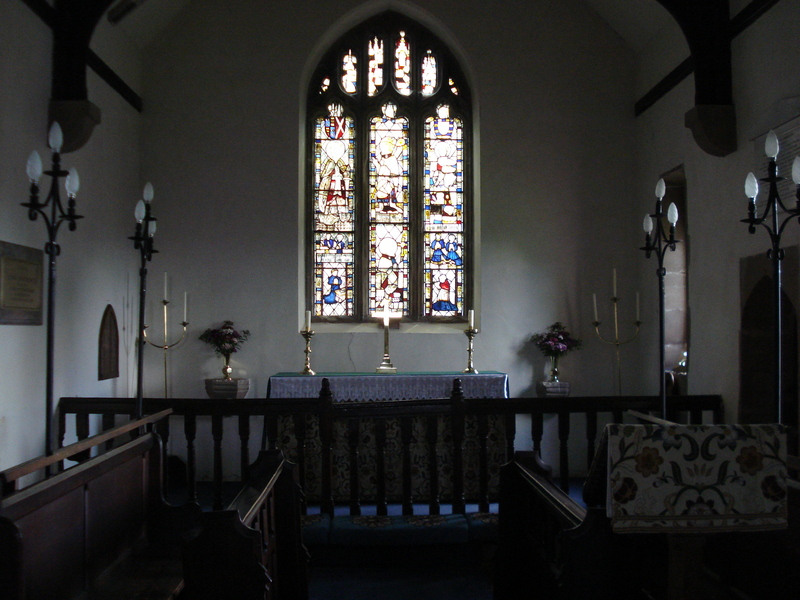 Beside the north chancel is the seat from which services are lead, opposite the wooden pulpit. Beside the pulpit stands the lectern from which readings are often given. 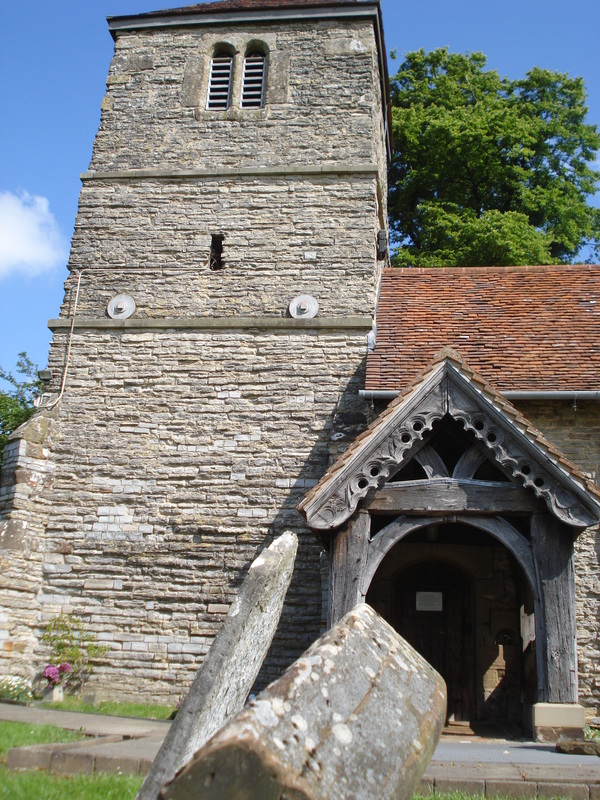 The seventeenth-century tower connects directly to the nave of the church, with the organ forming a partial wall between the nave and the room at the bottom of the tower. The window in the tower’s western wall is probably the original fifteenth-century one retained from the western end of the fifteenth-century nave and reset during the tower’s construction. The tower itself is comprised of three stories. The bottom-most chamber is used as a vestry, the central one is accessible by ladder but is not used, and the top-most contains the church bells, a rope from which descends through the lower two chambers. The roof of the tower is tiled in a pyramidal shape. There are three bells in the tower. The treble was made by John Martin of Worcester in 1661 and is inscribed with the words ‘prayse and glory be to God for ever’. The middle bell is inscribed with a cross, two lions passant (with one front paw raised, often found on coats of arms) and the letters H K and G O H O, perhaps in reference to the maker. Richard Saunders of Bromsgrove produced the third, tenor bell in 1713. It bears no remarkable inscription. 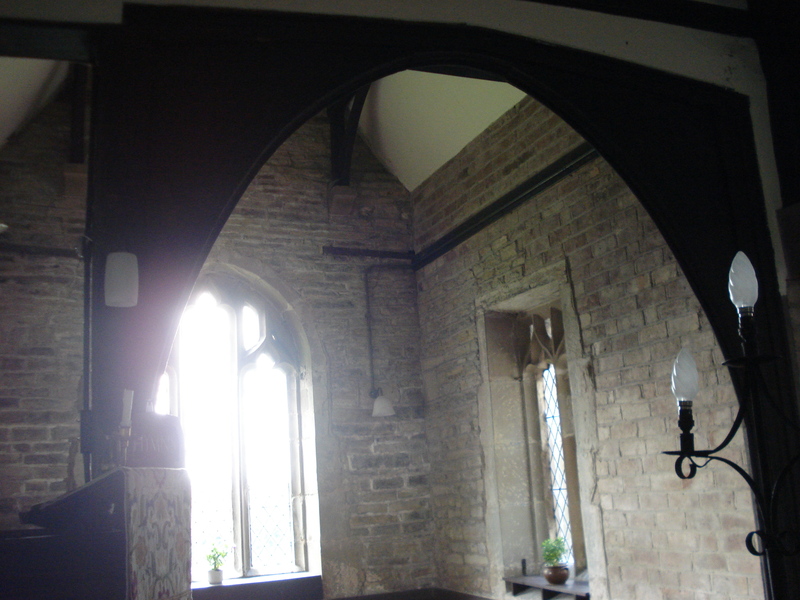 The north chancel contains two original windows and one (the western) later addition, and is entered beneath a plastered archway. Much of the stonework visible there is original. The south chancel contains three original windows, though the stonework has been extensively restored, and is entered through its original fifteenth-century wooden archway, which is connected to the pulpit, accessed by a set of wooden stairs. As in any church, the altar is located at the far eastern end. As this is approached from the nave, one passes nineteenth-century choir stalls on either side. The altar itself is separated from the rest of the transept by a low wooden wall at which congregants kneel to take communion. 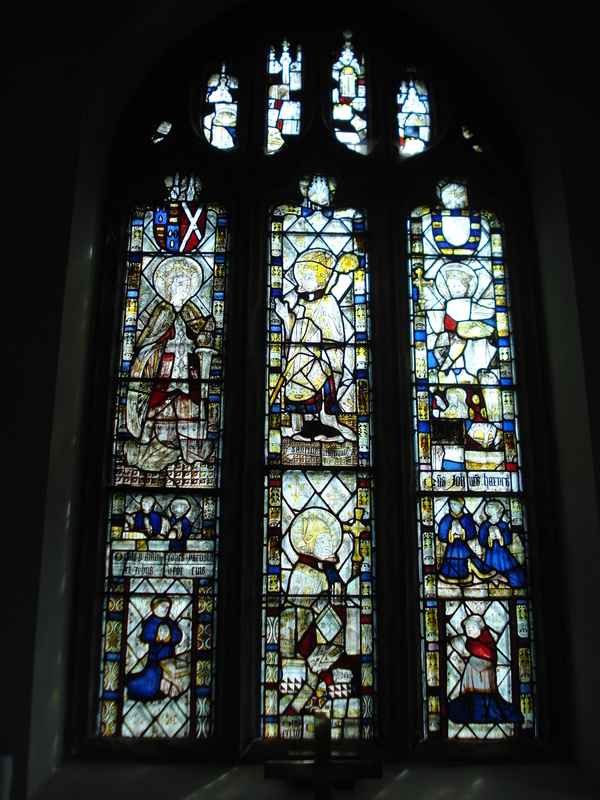 The colourful window at the eastern end contains some fragments of the original fifteenth-century window but is largely a nineteenth-century replacement.